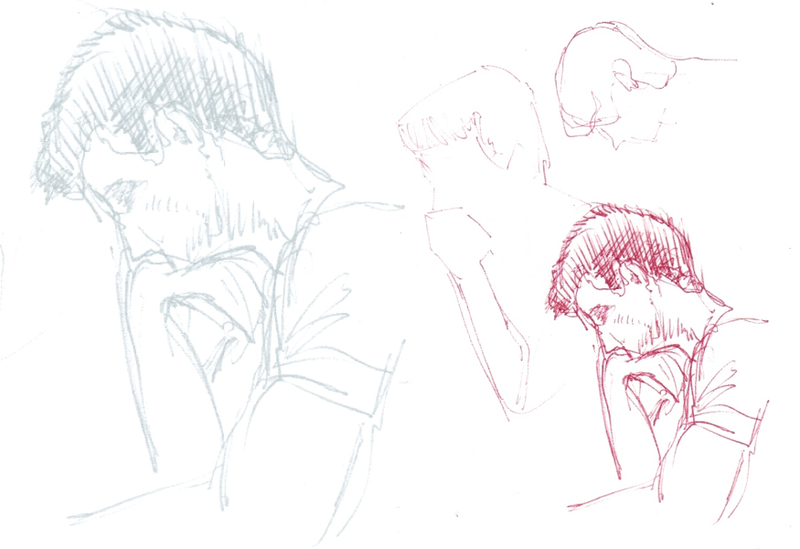 This young man inspired me to sketch him in the subway the other day. He seemed deeply into his thoughts but somewhat uncomfortable, as he kept fidgeting and changing positions. Perhaps it might have been the stress of the day or he was nervous about something. He was mostly looking down at the floor. It took me a couple tries to lock in a on a position he held long enough for me to capture it but I was able to get the perfect Thinker pose, just like the bronze sculpture by Auguste Rodin.